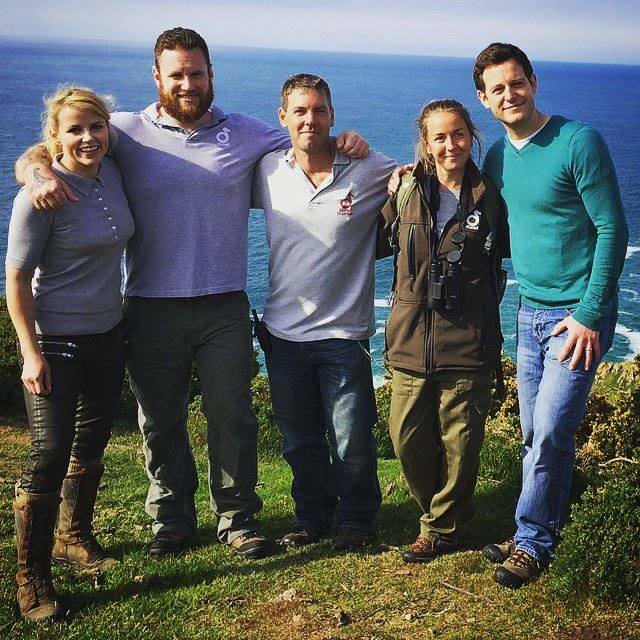 Last week, particularly on Friday 15th May, we at Birds On The Edge were very honoured to spend time with the BBC’s Countryfile team while they were in the Channel Islands filming an episode for this long running, and very high profile, television programme. After a week setting up the background and discussing just what was possible, and who might perform for the cameras, we were joined by presenter Matt Baker for the choughs and the sheep to make their nationwide bows. On Friday morning, Harriet introduced Matt to Gianna and her foster baby, known so far just as K. Gianna let Matt feed her and see her baby in their nest. In the afternoon Matt and Harriet joined the team at Sorel to call in the flock of choughs and give them their afternoon feed. The birds waited patiently around the aviary while the best angles for filming were discussed and all came in on cue. They even came back for more mealworms and a re-shoot. After feeding, the birds provided some perfect crowd shots as they flew around, calling. While the choughs were being filmed, Aaron, Euan, Mist the Dog and the Manx loaghtans waited patiently behind the cameras. They then got their turn for stardom as Aaron introduced Matt to the sheep flock and even caught one unsuspecting ewe for closer inspection. Mist watched on closely. 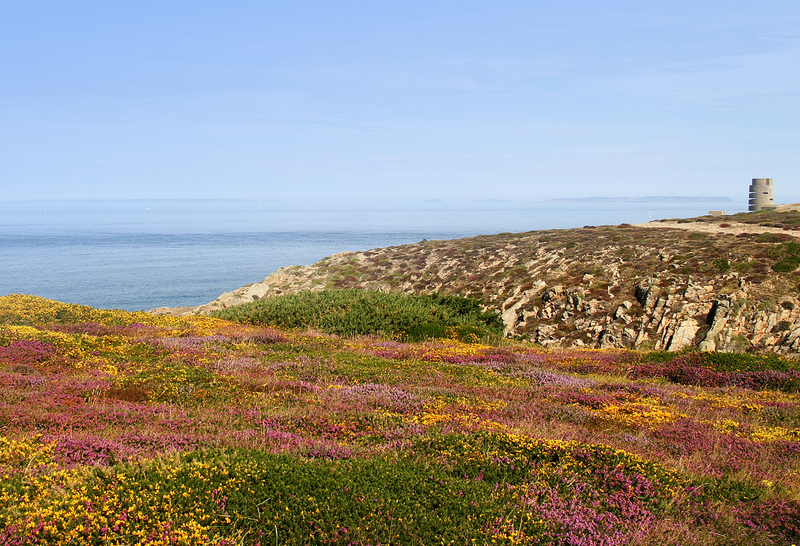 The filming ended as Matt’s co-presenter Ellie Harrison joined everyone at Sorel, coming from Plémont where she had been with the National Trust team looking at the land restoration underway at the old holiday camp site (see the NTJ Facebook site). Matt and Ellie signed off the show in front of the stunning backdrop of the Island’s north coast and Sorel Point in the sunlight. All the while watched by the choughs and the sheep. Please watch the show on Sunday 31st May at 19.00 and again on iPlayer. In writing this we don’t know exactly which shots will be used in the final show but I’m quite sure it’ll all be good. 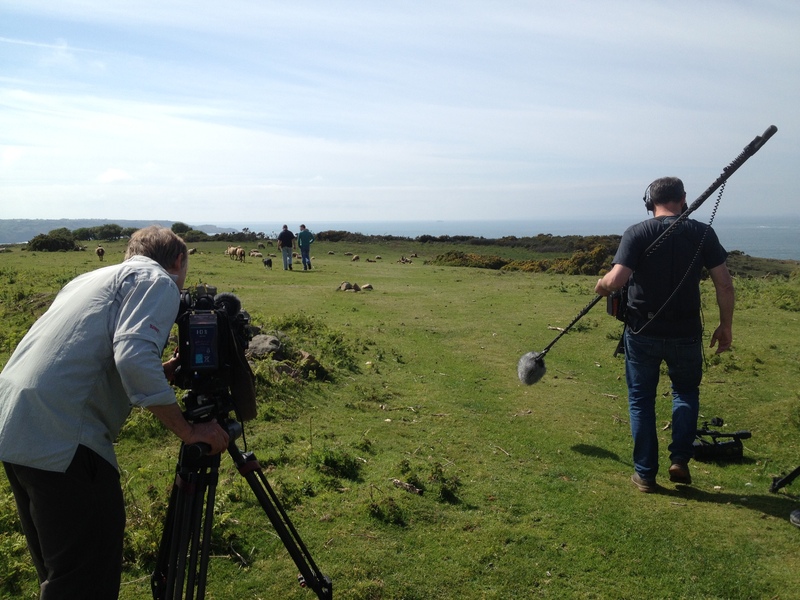 Many thanks to the BBC’s Emily Vaughan Williams and Nick Denning and Durrell’s Rick Jones for working hard to set up our day in the spotlight and to all the Countryfile team for giving the choughs and the sheep their star turns.